Simphiwe Khuzwayo is a chemical engineer and inventor with more than 10 years combined experience in the petroleum and water treatment industries. As an inventor, Simphiwe holds patents in South Africa, USA, UK, France and Germany, to name a few countries. He launched his career in 2007 with Improchem, a subsidiary of African Explosives and Chemical Industries (AECI). Starting as a process controller at the Improchem Water Treatment Plant based at the Chevron refinery, he later became the Process Design Engineering Leader and was based at the Improchem Head Office in Johannesburg. 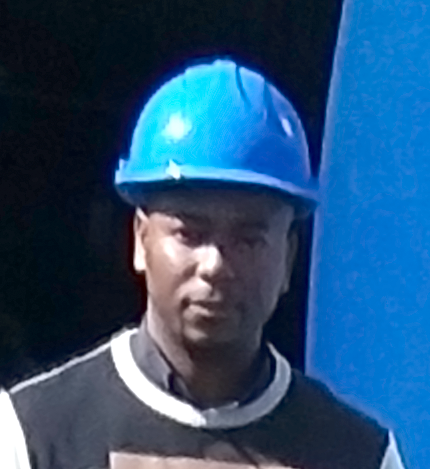 During his career as a process design engineer, Simphiwe worked with multinational clients and was involved in key projects across Africa. In 2010 he commissioned the Membrane Technology Plant for Anglo-Platinum and in 2011 he designed and commissioned the Dissolved Air Floatation Plant for Karen Beef. In 2012, he designed and commissioned the Ion Exchange Pre-Treatment Plant for African Explosives Limited (AEL). In 2013, he designed and commissioned the demineralisation (Reverse Osmosis) plant for Kansanshi Copper Mine (First Quantum Minerals) in Zambia. During the same year he was the consulting engineer for Tanzania Breweries Limited (TBL) and Kenya Petroleum Refineries Limited (KPRL). After a seven-year career with Improchem, in 2014 he started his own company, HC Innovations, specializing in inventing, patenting, and developing products for the petrochemical and water treatment industries. Simphiwe is also a shareholder and director at Tanknology SA, a partnership formed in 2016. He brings a wealth of experience as well as an impressive local, African and international network to Forgeweld.